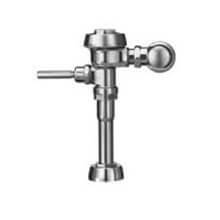 Flush Valves come in a wide variety of types and models. Find the one that matches the requirements for your job from this selection of Sloan, Zurn, and Moen valves. 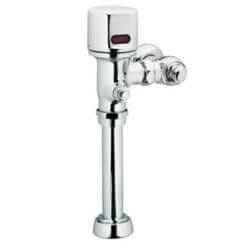 A flush valve is a mechanism designed to flush toilets and urinals. 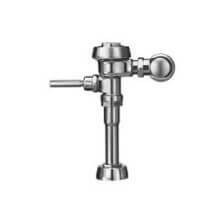 Many present day commercial applications use flushometers in place of standard flush valves due to their economic, environmental and health benefits. The flushometer is a plumbing device that does not require a tank filled with water for flushing. It conserves a massive amount of water over time and for every flush, a metered amount of water at a lower volume is delivered, though at much higher pressure compared to that of a standard flush valve. 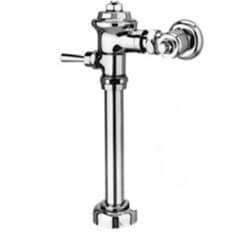 Flushometers come in either diaphragm or piston type models. Both models function similarly in releasing water when flushed, however the piston model is more adept at dealing with harsher water conditions. 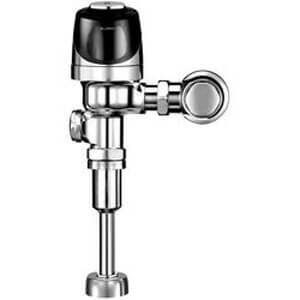 On our website, you can browse through a wide variety of flushometers made by Sloan, the world's leading manufacturer of water efficient solutions for over 100 years. 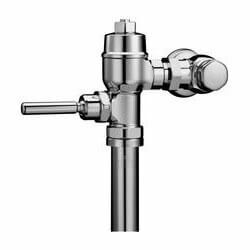 Sloan's reliable and premium made flushometers are available in exposed or concealed installation with manual or sensor activated mechanisms. 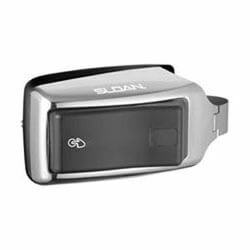 Sloan's infrared sensors provide hands-free operation, bringing hygienic convenience to restrooms. 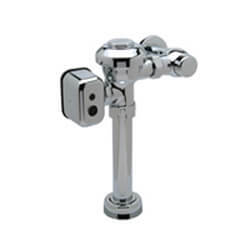 Royal manual and Royal sensor operated flushometer models include a dual filtered bypass diaphragm and their flush accuracy is controlled by CID technology, enhancing water efficiency. Regal manual flushometers are equipped with traditional natural rubber segment diaphragms with a fixed metering bypass and features low consumption flush accuracy controlled by Para-Flo technology. Uppercut is a manual dual-flush flushometer. It uses a rubber diaphragm and provides two water efficient flush options, conserving water in the most optimal way. Flush accuracy is controlled by CID technology. 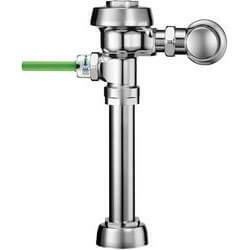 Optima Smooth and G2 Optima flushometers are diaphragm type with dual filtered fixed bypass. 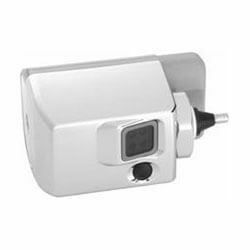 They are battery powered and operate automatically via infrared sensor for hands-free operation. Flush accuracy is controlled by CID technology. 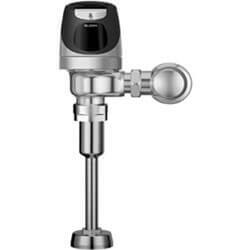 Solis flushometers are solar-powered and available in single or dual flush type. 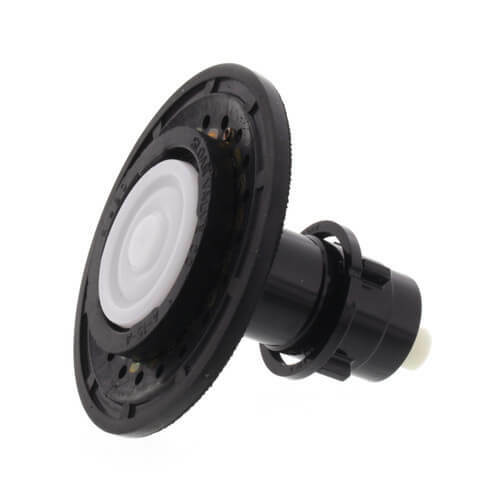 These sensor operated flush valves use CID technology, have a rubber diaphragm and are powered by a solar cell that harvests power from artificial indoor light as its energy source. 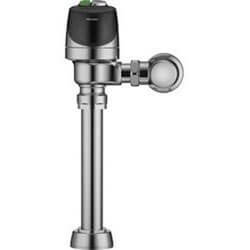 The Ecos sensor operated flushometer is equipped with a rubber diaphragm, and has a dual-flush option, which reduces water volume by 30% when a reduced flush occurs. Flush accuracy is controlled by CID technology.